One can’t help but notice it at the quay. Its silhouette speaks for itself. The low draught of the Antares 11.20 enables you to drop anchor right by the shore. This boat is capable of going far even in adverse weather conditions. 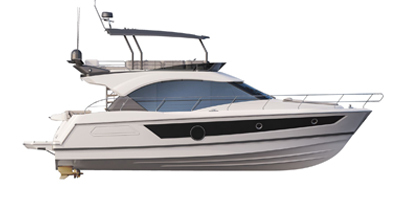 Refined decoration, research and quality of the materials, meticulous finishing touches... the Antares 11.20 does everything to keep you on board.